Permobil connects the latest technologies with user feedback to create products that help people with ALS and other complex conditions maximize their mobility, independence and quality of life. 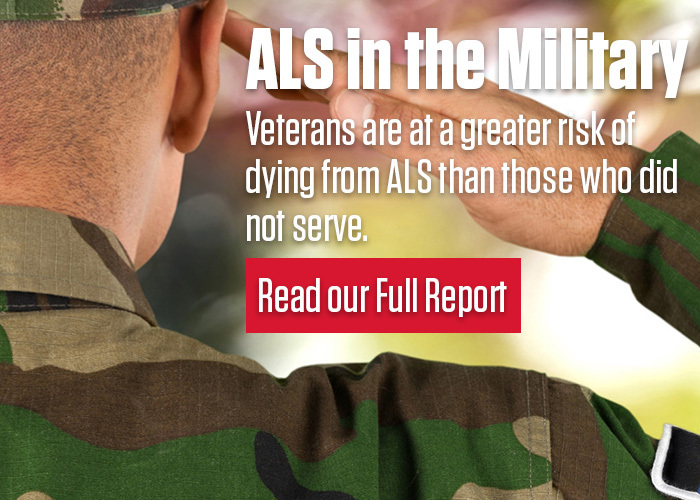 The company has been one of The ALS Association’s partners for nearly a decade. In 2013, The Association announced that Permobil had become a Premiere-Level Partner, supporting The ALS Association’s Care Services program through the donation of seat elevators, sponsoring the Walk to Defeat ALS® and supporting the National ALS/MND Nursing Symposium. The company’s commitment to people and caregivers in the ALS community extends beyond its partnership with The ALS Association, according to Brandon Edmondson, Director of Clinical Sales and Outcomes for Permobil. That commitment permeates the way Permobil builds relationships with customers. One of Permobil’s focuses when creating power wheelchairs for people with ALS is something known as complex rehab technology or CRT. The term usually refers to specialized accessories that add functionality and describes technology that is different from that used in simpler chairs. One good example, Edmondson explains, is the difference between a simple wheelchair headrest and a CRT headrest. A typical headrest “just sits back there,” he said. You can rest the back of your head on it, but it doesn’t have any of the specialized assistive equipment that people with ALS may need. By contrast, the headrest on a chair for someone with ALS may need to be supportive in tilted and reclined positions, be removable, or have a switch mounted on it so the user can access other functions of the wheelchair. You or someone you know may have a headrest that includes all of these important features. This more complex -- and more expensive -- headrest may also include a strap or positioning pad that helps hold the user’s head upright if they are unable to do so on their own. “And that's a very different type of headrest,” said Edmondson. In 2008, Congress passed a law exempting CRT wheelchair accessories from the competitive bidding program of the Centers for Medicare and Medicaid Services (CMS). The ALS Association and Permobil both supported this legislation, which over the past seven years has preserved access to these critical technologies for thousands of people with ALS. The Centers for Medicare and Medicaid Services (CMS) recently announced, however, that beginning in January 2016, CRT accessories including specialized controls and recline and tilt systems, among others, may be reimbursed at the reduced payment rates of CMS’s competitive bidding program. If this change goes into effect, it could prevent many people with ALS from gaining access to these important technologies. Edmondson explains that the cost data used in the competitive bidding process for wheelchairs and wheelchair accessories is based on the less-complex, less expensive type of chair. These chairs, while they serve a crucial function for people who may have a hip replacement or other common difficulties with mobility, typically are not appropriate for people dealing with the progressive effects of ALS. “The issue is they're taking some of those dollar bidding rates and applying them to the complex chairs,” said Edmondson. As a result, CMS may set reimbursement rates for the more complex chairs and CRT accessories that do not cover even the manufacturing and shipping costs. That could leave the people who need these important technologies no option but to pay out of pocket for them, putting CRT out of reach for many. The ALS Association and Permobil are working to oppose Medicare’s proposed changes to reimbursement for CRT. If you would like to help preserve access to these technologies, sign up to become an ALS Advocate via The ALS Association’s Advocacy page.